Richard graduated from Victoria University with a Bachelor of Clinical Sciences and a Masters in Health Science in 2001. 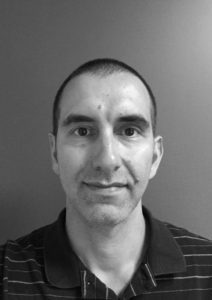 Richard is proficient in treating common Musculoskeletal conditions and has extended experience in treating chidren and pregnancy related conditions. Richard is also proficient in dry needling techniques and finds this particularly useful in treating both chronic and acute conditions. As Richard’s external interests are snowboarding, rockclimbing, mountainbiking and being in the outdoors, he recognises the importance of maintaining mobility and general health through lifestyle and activity. Richard is available for appointments throughout the week at both our Ringwood (Tuesday, Thursday and Friday) and Warrandyte (Monday and Wednesday) Clinics.